There's not much better light for portraits than window light. That's why the great classical painters like Vermeer and Caravaggio used it so much. It's as though the glass has some magical property that gives it's light a soft yet directional quality that delicately wraps my subjects and still reveals details that makes the portraits rich and three dimensional. That's why I've sought out any windows I could find on most of the weddings I've done these past 25-years. 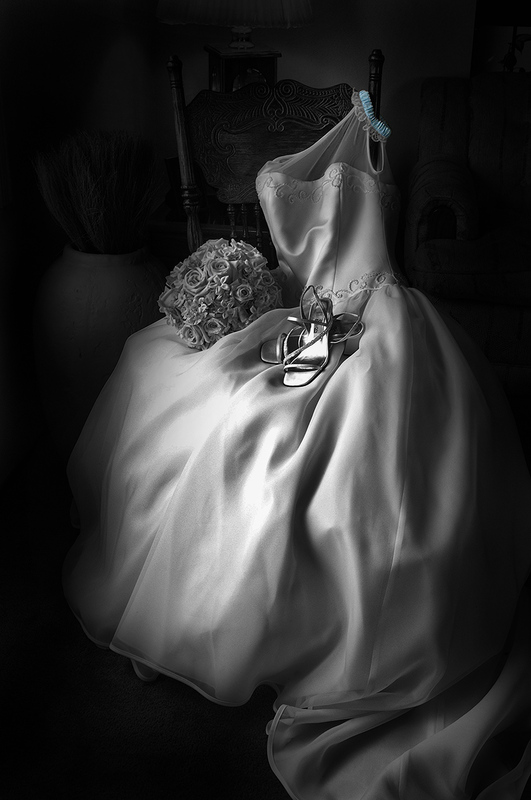 Black & White and Something Blue - Fuji Pro-S-1, f11.0 @ 1/30sec ISO 400 This image was a PPA National Merit Print from one of our first digital weddings. The key to using window light weather your subject is a person or a product, like food or a wedding dress, is proper placement of the subject at the window. Unlike the studio you can't move the light source, so the lighting pattern is determined by the subject's pose or the angle of view, as seen at the camera, of your subject. Just as I would with a person I "posed" this dress "looking" to the window so the light would skim across the flowers, shoes and dress to bring out their details making them very three dimensional. 1) Look for windows with NO direct sunlight in them. North or South facing windows are the safest. 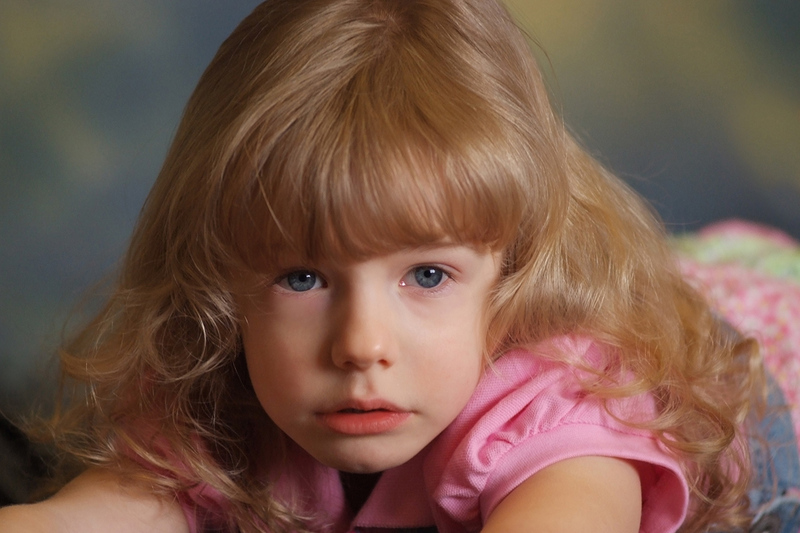 2) For portraits, the window is your Light Source NOT a background. You would never show the soft box in a studio portrait…I show no physical evidence of the window--not even drapes or shears. The shears usually over expose and blow-out anyway. 3) Keep your subject close to the window for the softest light--usually two to three feet is great. 4) Because window light is so soft I usually use a white reflector, for a soft fill, on the subject's shadow side--especially if the person is looking toward the camera. This is to avoid split lighting the face. If I have the person look out toward the window, creating short lighting, then I use NO reflector. Tip: If you are at a wedding and you left your reflector in the car use the bride's dress. Have someone hold-up the bride's dress on her shadow side--works great and everyone will think you're a genius! Can't lift the brides dress…grab a white bath towel. 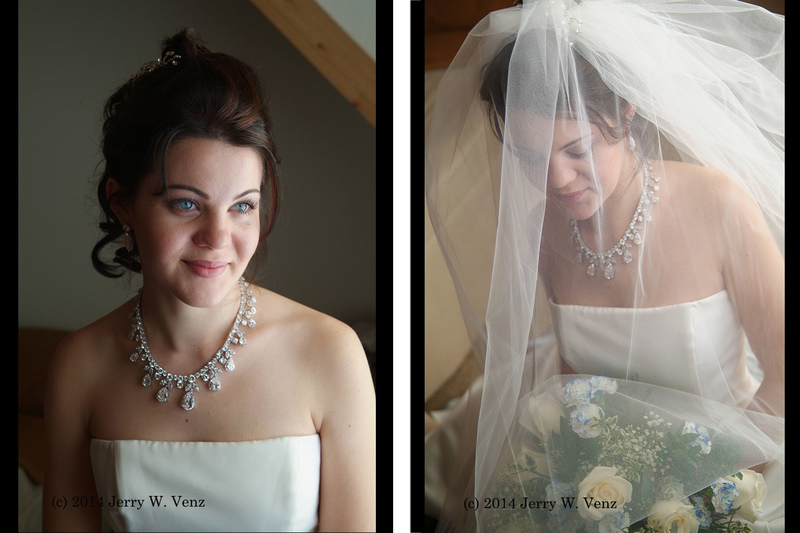 Both of these images of Minda were captured by a small attic window with NO reflectors. 5) Use the most telephoto lens you can given the space--to avoid distortion of your subject's features. I prefer to use more than a 100 mm focal length, if I can. This image of Hailey was done in our Eagle studio using a 12 foot x 6 foot window. This light is not nearly as soft as in Minda's photos above because Hailey is about 20 feet away from the window. 6) Use a tripod. Most of the time, to get a fair amount of depth-of-field, I'm using f4.0 for a bride at 1/30 sec or 1/15 sec at ISO 400. When I am photographing the flowers, shoes, or wedding dress, I'll do them very much like a commercial product image, by using f8.0 to f11.0 with shutter speeds as slow as 1 second at 400 ISO. Window light is the easiest natural light source to use. Windows are everywhere these days. Modern homes and hotels have more windows than they have ever had due to the development of energy efficient, dual pane windows. In addition our cameras are superb at hight ISO's and coupled with faster f2.8 aperture lenses it's easier than ever before to use this beautiful light!